3-rd island by size in Samui archipelago (after Samui itself & Phangan), Koh Tao is also the first place to be for divers, and most favorite holiday destination for thousands of good people from all around the world. World class diving, amazing views, hidden beaches and friendly locals - that's some of the reasons. Look deeper, feel more and you'll discover other, what is always hard to define in words. Property ownership info: planned changes in rental law should increase the market, as now there are no way to legally manage your land on Tao in terms of long time. Why we have this page? Because Tao landlords contacting us and asking to post the offers about their properties for sale. We don't have any office on Tao and can arrange meeting with the owner and show the place. 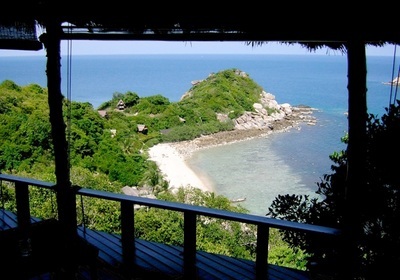 12 Rai plot with panoramic views of Sairee beach and other areas of Koh Tao. 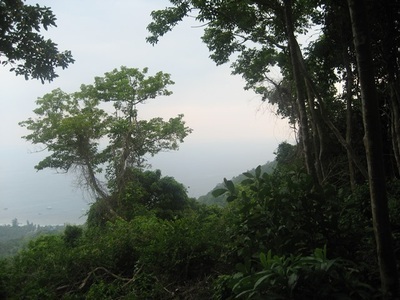 Land include one of the highest spots on island.Ancient trees and wonderful fauna (met emerald pigeon there last time!). Price: 15 mln. THB for the whole land, smaller plots price depends of the exact part. 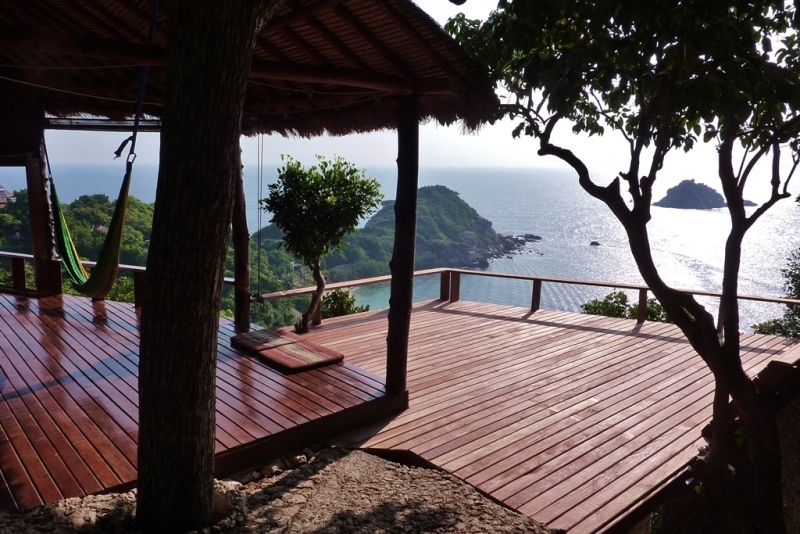 2 Rai land with probably the most amazing views of Koh Tao. Good road access (partially concrete). 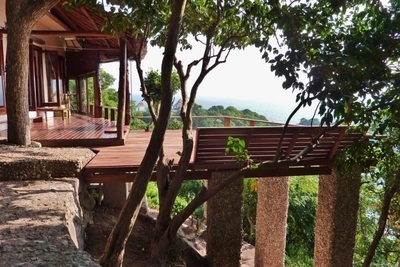 Now there are the view point with the entrance fee & bar located on plot. The first villa of the most promising real estate project on Koh Tao now available to buy! 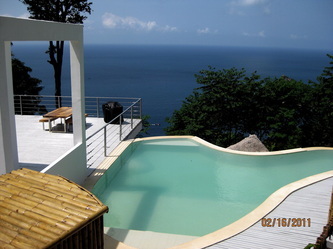 Villa have amazing view from the mountain to the ocean and Koh Nangyuan. Luxury property located on the mountain in the North of Koh Tao in a private residential area. 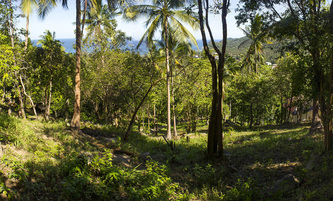 View: West and south. 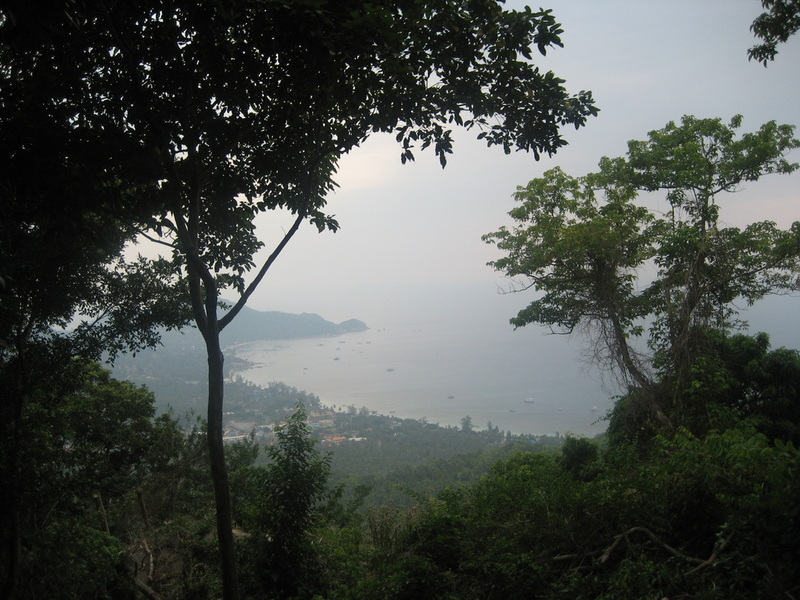 Sea view overlooking the natural reserve of Koh Nang Yuan Islands. Electricity: Private and soon to come: government. Water: Collect rain water into a 100 000L private tank (under the terrace). Owner: And design’s company. Shareholder is French. We are part of co-property. Landscape: Lots of beautiful trees and granite builders. 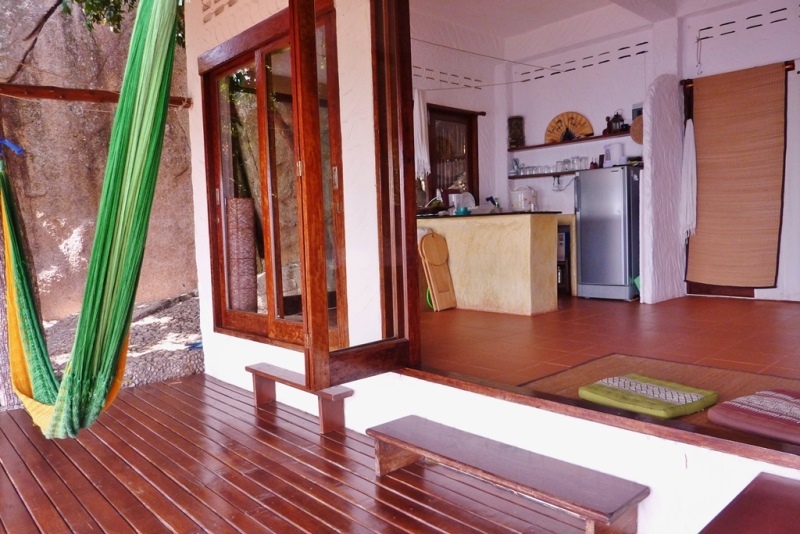 Features: 30 sqm infinity pool, extremely big door/windows, big wooden terrace. Price: by request, including the land. 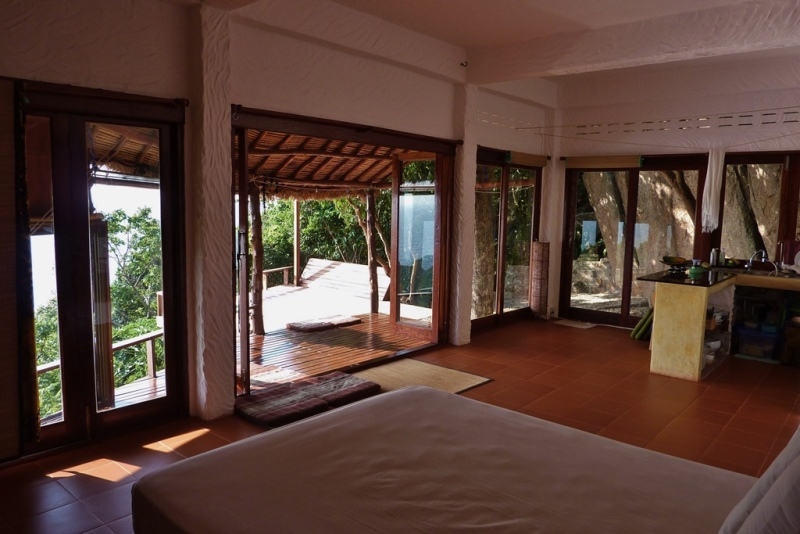 Also villa can be used (or combine with using) as a profitable business - everything stays in the house, already have existing bookings and professional photography. Owners has already lots of bookings for short-term rental at 1 500 euros/week. Land plot size is 1000 sq m.; Extendable to 2 RAI. Villa has a 30 000 liters water tank in concrete plus a 1000 liters water tank above the house for gravity feed. Water is collected from the eco-material top roof with a six month autonomy in case of drought. Onsite here is a government electricity meter and telephone line. House has at the moment only one bedroom and one bathroom, however the top floor is open to any flexible design (2 or 3 bedrooms ). There is a private stairs going to Sai Daeng beach. The price is 9 500 000 bahts. 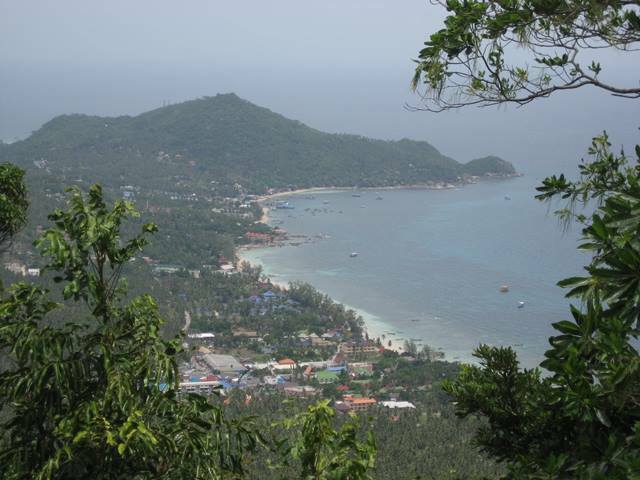 Amazing opportunity to buy nice land on Koh Tao for attractive price! Located on elevated site with spectacular sunset views over the sea and surrounding area. Just a 2 minute drive from Sairee, - very quiet, exclusive and peaceful. Offered for sale as 5 plots of varying size from 602m2 to 1,341m2 for construction of luxury dwellings, most with spectacular views. New access road with recently constructed parking and services installed. Plots could be combined to form exclusive holiday complex. Ask for more information. Viewing highly recommended to fully appreciate the enormous potential on offer. Plot Prices vary from 782’600bht. This land is priced to sell. 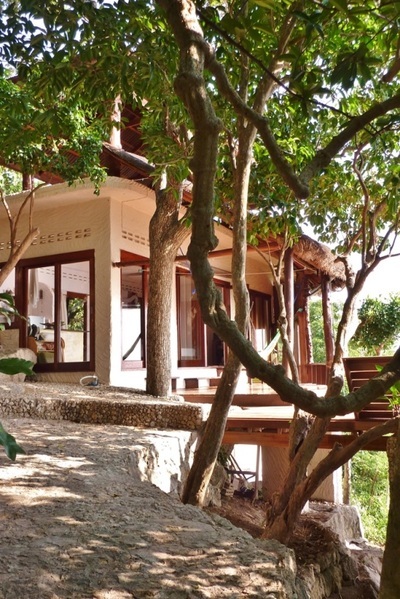 Has increased in value significantly over the last few years and will continue to do so, due to the promising tendentions on Koh Tao real estate market! For more information or appointment to view fill the contact form. Tree Friends Club - spreading the new concept of relations between the urbanists and nature, Tree Friend Club offer to own the tree and enjoy its harvest for all the tree lifetime. 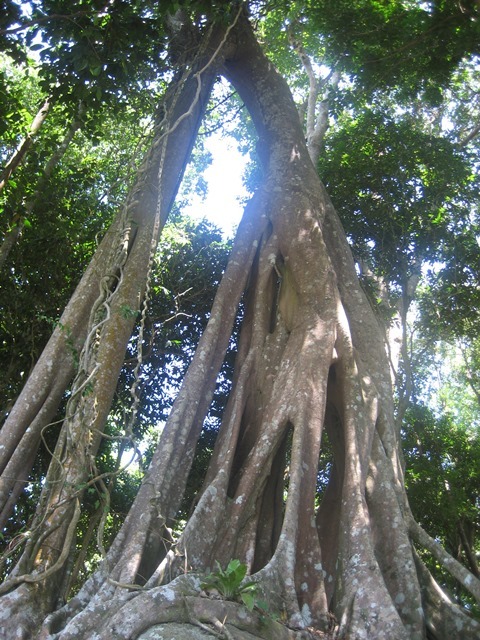 Now its a trees of Cacao, Rudraksha and Tea, which going to launch soon as a complex product to buy. First Villa Resort, Baan Tai, Koh Phangan - nice rooms, special offers. Magic Tambralinga: Nakhon Si Thammarat galaxy guide. ΚΑΛΌΣ fund: new way of vision in charity & non-profit fields, Kalos Fund has a simple missions how to make the Life better for all the beings, supported by reasons to act fast, effective and without big loud announcements.